Ka‘imo accepts the Helen C. Kane awards from O‘ahu Council officers. Hūlō! 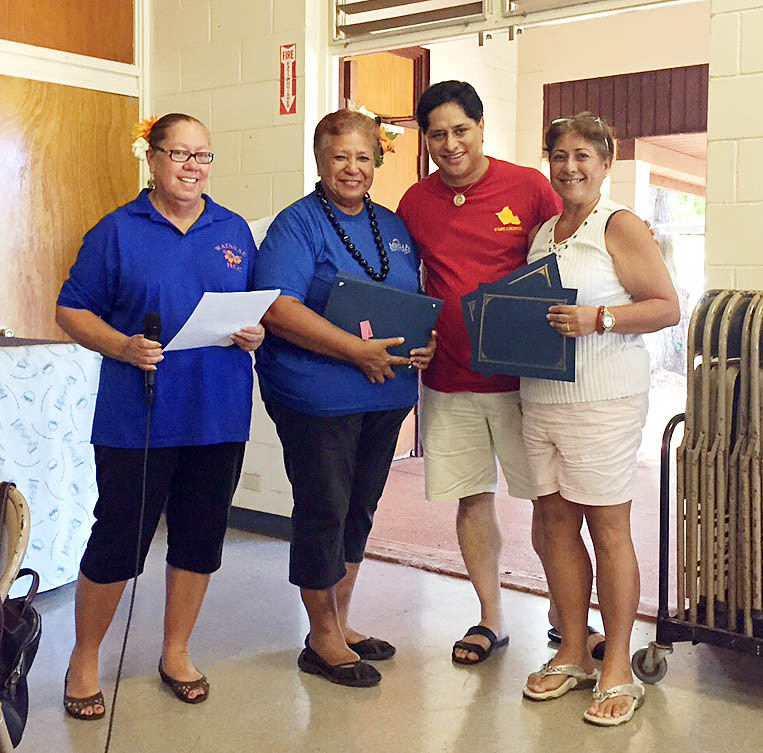 Kalihi Palama Hawaiian Civic Club members Ka‘imo Muehlstein and Blaine Fergerstrom were recognized by the Association of Hawaiian Civic Clubs, O‘ahu Council with the Helen C Kane Award for their outstanding service to the Kalihi Palama Hawaiian Civic Club. This entry was posted in General on October 10, 2015 by Blaine Fergerstrom.